This homemade Bacon is made with pork belly and cured with maple syrup, espresso, brown sugar, and black pepper. It’s then smoked to perfection. 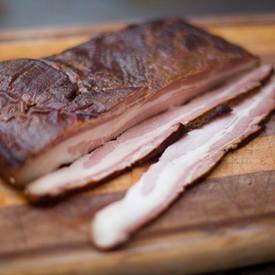 How can I begin to tell you how phenomenally easy it is to make your own homemade Bacon?